So, the gang at Wizkids have been making some changes in anticipation of a soon to be released new Rulebook and Powers and Abilities Card (hopefully in the TMNT Starter!). So, I wanted to take the time to go over some of the bigger changes to make sure you were all aware. The other big change (not included on this chart) is that Plasticity only affects characters the same size or smaller when stopping automatic breakaway and stopping a character’s movement in an adjacent square. The other change they recently posted applies only to characters that use the Possession Trait (War of Light Entities and Jocasta from Age of Ultron; Eclipso and Red Son Brainiac already have the new wording). The entities are now considered equipment characters that are equipped to your characters during force construction. This means they are still bound by unique rules but no longer count as characters for the purposes of theme teams or granting a theme team bonus to your initiative roll. For more clarifications, explanations and the actual text of the current wording, go to the official Heroclix site. All of the above changes are effective immediately. If you have any further questions, comments, or concerns, as ever, just give us a shout. I’m sure there will be more changes before we’re done. However, I think they are mostly positive. 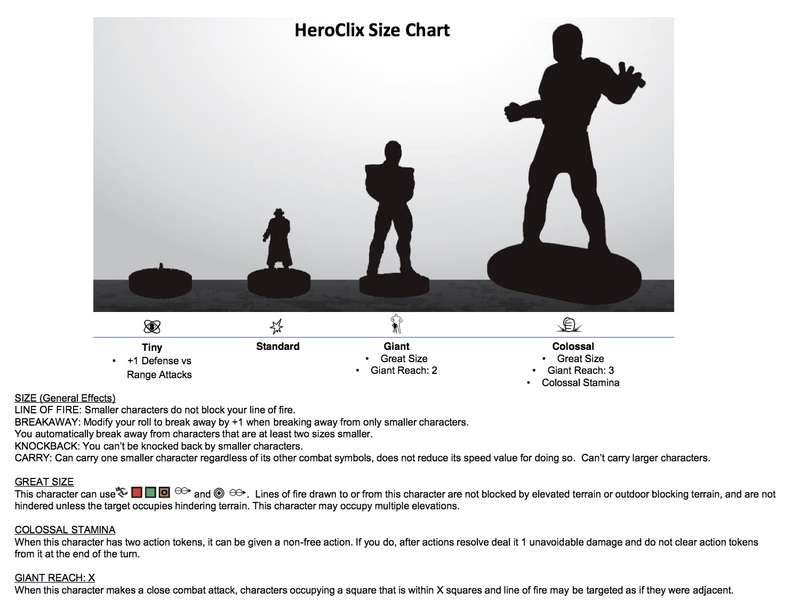 This entry was posted in Heroclix by Joe. Bookmark the permalink.